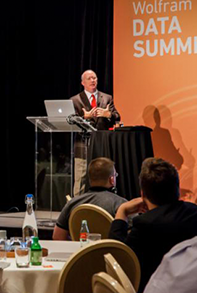 The Wolfram Data Summit begins with a 9am breakfast on Wednesday, September 21. The final presentations will conclude at approximately 4:30pm on Thursday, September 22. This page will be updated as speakers are confirmed.